The first compilation to be released on the PAN label, Mono No Aware collates unreleased ambient tracks from both new and existing PAN artists including Yves Tumor, M.E.S.H., Pan Daijing, Sky H1, AYYA, Jeff Witscher, Helm, TCF, HVAD, Kareem Lotfy, ADR, Mya Gomez, James K, Oli XL, Flora Yin-Wong, Malibu, and label head Bill Kouligas, moving through more traditional notions of what's considered ’Ambient’, to wider variations that fall under the term. It’s an incredibly coherent suite of tracks that quite honestly sounds like the work of a singular, multi-facted artist rather than a disparate collection of pieces, something that’s perhaps testament to Bill Kouligas’ exceptional curation skills. While the album revolves around central themes of “an empathy towards things” or “a sensitivity to ephemera”, in practice it serves to beautifully illustrate the label’s depths in unity and common purpose with tracks by key roster - M E S H, Bill Kouligas, Sky H1, Helm, Yves Tumor, Jeff Witscher (Rene Hell) - as well as a smart influx of extended family and new producers - TCF, AYYA, Flora Yin-Wong, HVAD & Pan Daijing, Kareem Lofty, Malibu, Oli XL - who refresh and perfectly expand the label’s already unfathomable breadth of styles, personnel and their perspectives. It’s also by some distance the label’s most sublime release, shifting thru 16 subtly personalised and compatible pieces, with results that speak to a world of increasingly chaotic flux and instability by simultaneously mirroring its confusion while also providing an inclusive safe space away from it; offering mutual gridwork for a spectrum of expressive nuance that takes in the billowing lushness of Egyptian artist Kareem Lofty’s Fr3sh at one end, and the colder digital soul of Danish/Chinese duo HVAD & Pan Daijing at the other. 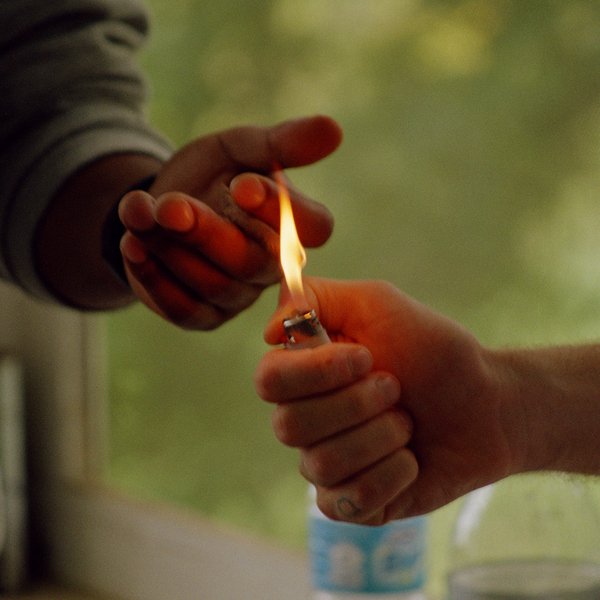 In the space between, Mono No Aware transcends vast, ostensibly detached time and space between Polish producer AYYA’s exquisite Second Mistake and Yves Tumor’s elusive/illusive Limerence to highlight their differences and similarities, vacillating the windswept dynamics of Helm’s Eliminator with ADR’s ambient-pop hymn Open Invitation and jumping from the needling peak of Mya Gomez’s justforu to Bill’s own ambiguous blend of agitated noise and aching melancholy in the rare outing, VXOMEG and in a tormented but optimistic way mutual to the M E S H and Sky H1 cuts and especially TCF’s C6 81 56. On one level Mono No Aware helps to rescue ambient music from the clutches of neo-classical bores, and on another helps to firmly place it within context of the modern world. It’s a brilliantly curated, hugely satisfying collection of tracks from a label that never seems to rest on its laurels. Mastered by Rashad Becker at D&M, featuring photography by Molly Matalon and design by Bill Kouligas. Back in stock - White vinyl Re-Press - edition of 300 copies, instant download included.